Product prices and availability are accurate as of 2019-04-21 13:56:09 UTC and are subject to change. Any price and availability information displayed on http://www.amazon.com/ at the time of purchase will apply to the purchase of this product. This 3.5 lb anchor will hold your PWC, canoe, dinghy, or float tube in sand, mud, sand, gravel, and rock. 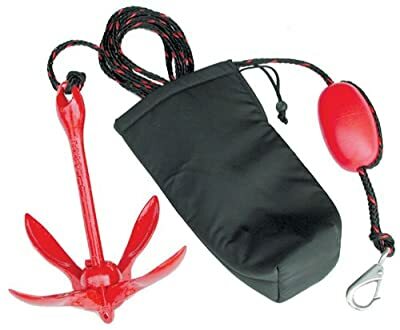 The durable nylon storage case holds the included 25 feet of rope, marker bouy, giant snap hook, and anchor. This complete anchor system from Kwik-Tek is in a class by itself. 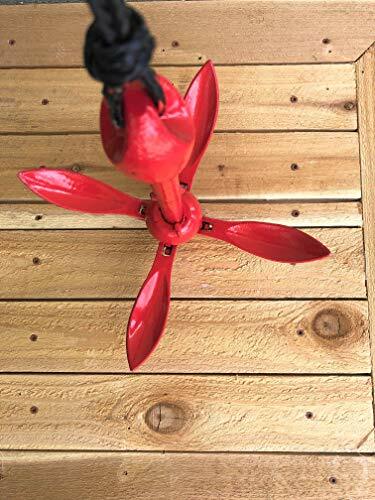 The 3-1/3 pound, 4-fluke folding anchor will hold in mud, sand, gravel, and rock. 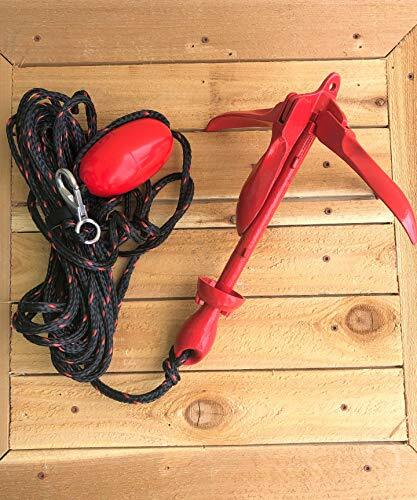 Designed for boats, sailboats, personal watercraft, inflatable boats, canoes, and float tubes, the anchor is coated to protect finishes. Its durable nylon storage case is padded for added protection and to dampen noise while the anchor is stowed. This system Fits under most boat seats, in PWC storage compartments, or in PWC storage canisters. 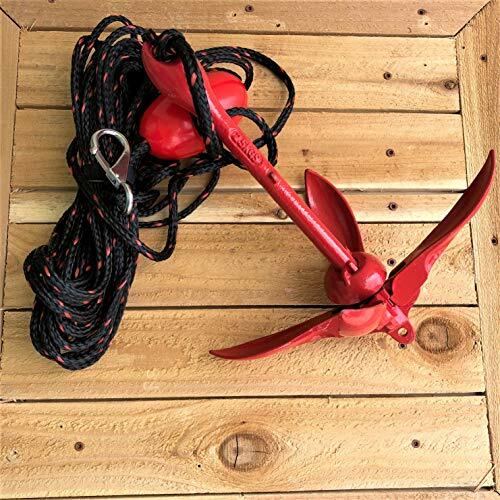 The 25-foot long marine-grade rope with an in-line buoy is spliced to the anchor and a heavy-duty stainless steel snap hook.